I found some beautiful summer silk flowers that I thought would be wonderful for a small vase. 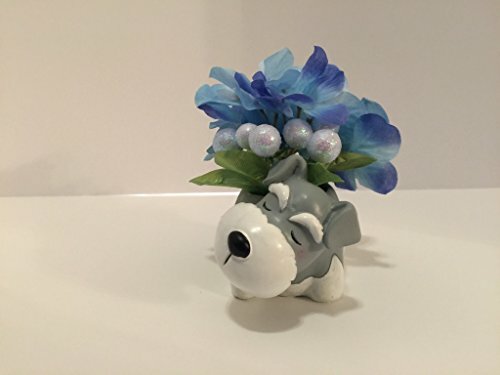 I found a resin sleeping schnauzer vase that measures 2.75" X 5" X 3" in grey, white, and black. The flowers are arranged in the vase using foam, wire, moss, and glue. If you have any questions about this product by Peters Partners Design, contact us by completing and submitting the form below. If you are looking for a specif part number, please include it with your message.